Below are just a few samples of photographic evidence captured by NPIS. We present all of our evidence during presentations. Please check our presentation schedule for upcoming presentation dates. 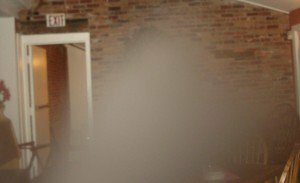 While taking a break halfway through the investigation to discuss what activity we had currently experienced, photos were taken from the back of the firefighters’ break room, in which this image of a shadow person was captured, accompanied by a couple of energy streaks. 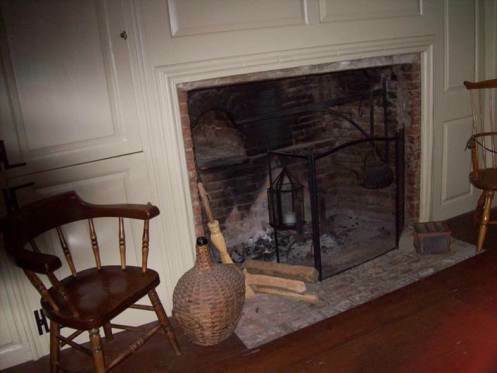 The following series of photographs were taken on a follow-up investigation of the Deacon John Grave House. 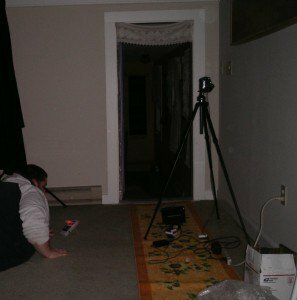 This particular investigation was set up to specifically try to recreate the moving shadow captured in this room on the previous investigation (seen in our Video section), which we were unsuccessful in accomplishing. 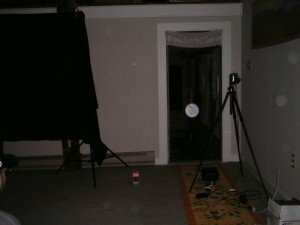 However, we did capture a spirit in motion with one of our digital cameras in the same room. These series of events occured in a matter of about 30 seconds. 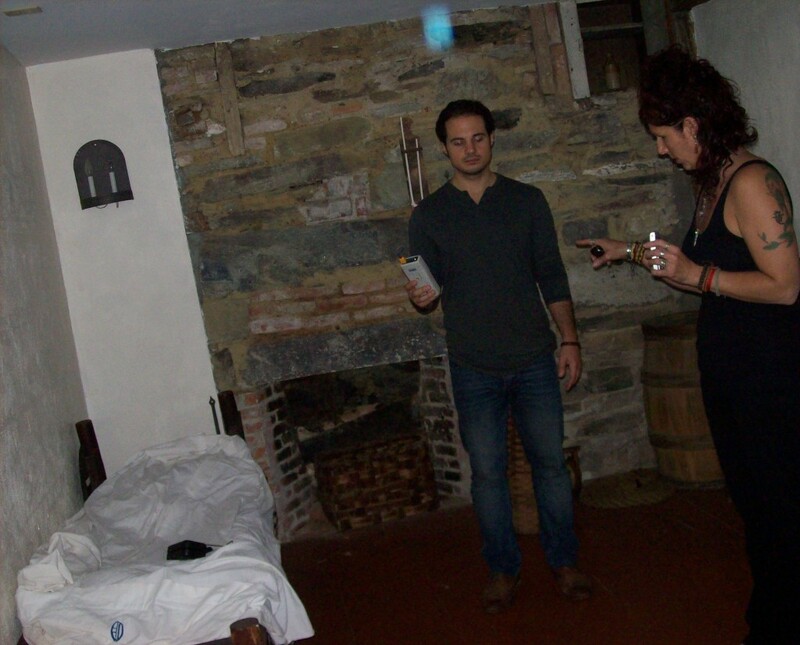 During the same investigation in which we captured the “I’m Colleen” video EVP (seen in the Video section), we captured this mist which completely blocked out an investigator sitting at a table. 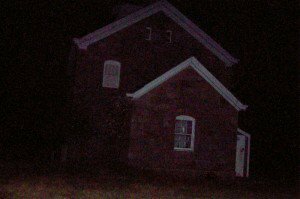 Upon arrival to the vacant lighthouse, numerous photos were taken, with one photo in particular standing out over the others. 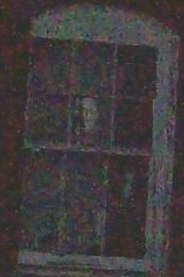 Below is the original photo followed by the enlarged image of what appears in the window. 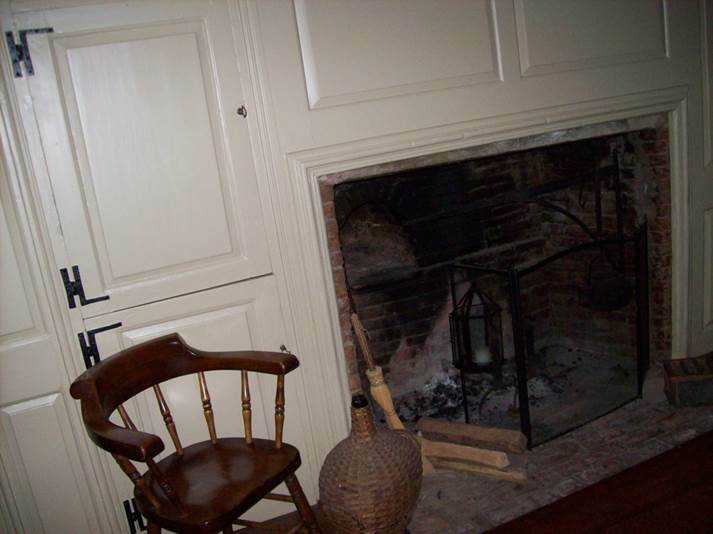 Though we don’t normally consider orbs to be concrete evidence, we found the following images worth noting. 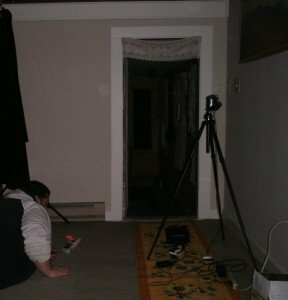 The following series of photographs are visual evidence of a series of events which took place during our investigation. Our mel-meter, stationary on the floor as seen in the photos, read at a steady 0.00 EMF reading while the temperature remained steady as well. This is depicted in the first photo. 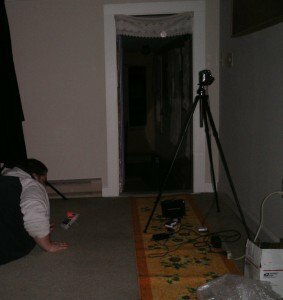 The second photo containing the large orb in the hallway was taken when the mel-meter spiked to a 0.07 EMF reading and the temperature dropped. In the third photo, the mel-meter again returned to a 0.00 EMF reading and the temperature returned to normal. The following series of photographs were taken outside of the Shanley Hotel. The tree stump seen in the photos was once the tree used in a hanging during the 19th century. A servant impregnated a prostitute (the Shanley Hotel was once used as a brothel). The baby was taken and killed. The servant and prostitute were also killed for their actions (specifically due to the intollerance for interracial relationships at the time), with the servant being hanged from the tree. 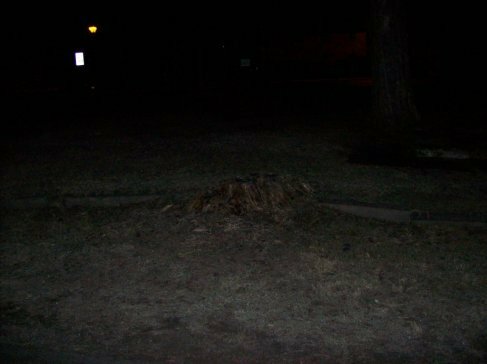 We happened to capture a photo of mist around the tree stump. The following three photos were taken in a matter of 20 seconds. 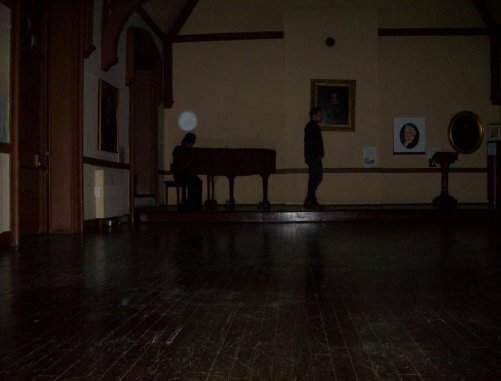 On one particular investigation of this property, it was discovered that the playing of the piano resulted in orbs being captured in photos. Also, EMF meter fluctuations from across the room occurred until the music stopped but fluctuated again once music resumed. 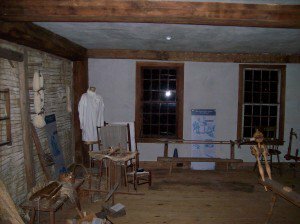 Brothers Elisha and Noah Phelps were involved in gathering information leading to the capture of Fort Ticonderoga during the American Revolution. 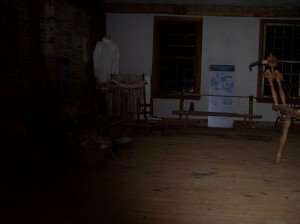 While conducting an EVP session directed toward the brothers regarding their activities during the war, the following series of photographs were taken in a matter of 20 seconds. The shadow which appears in the second photo was not something we were able to recreate. 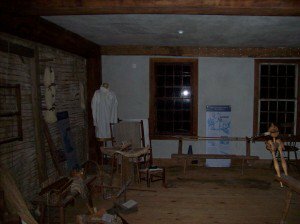 Over 50 photos were taken during an EVP session in a room on the first floor of the Eells-Stow House. 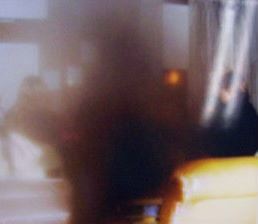 We found this one photo of the 50+ taken to contain a blue energy not present in any of the others. This energy was captured following a sensation of static electricity in the room by some our team members. 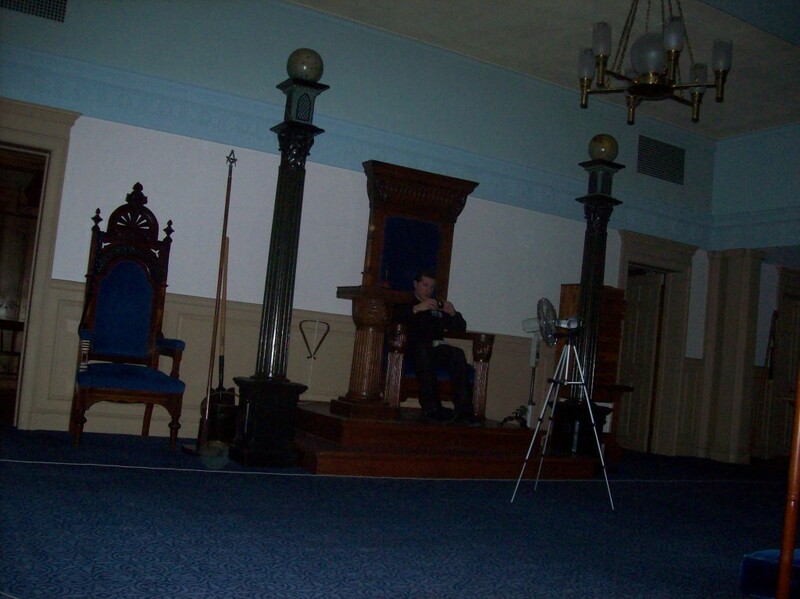 Employees of the Clinton Town Hall claim to feel a presence within the Mason’s Room. 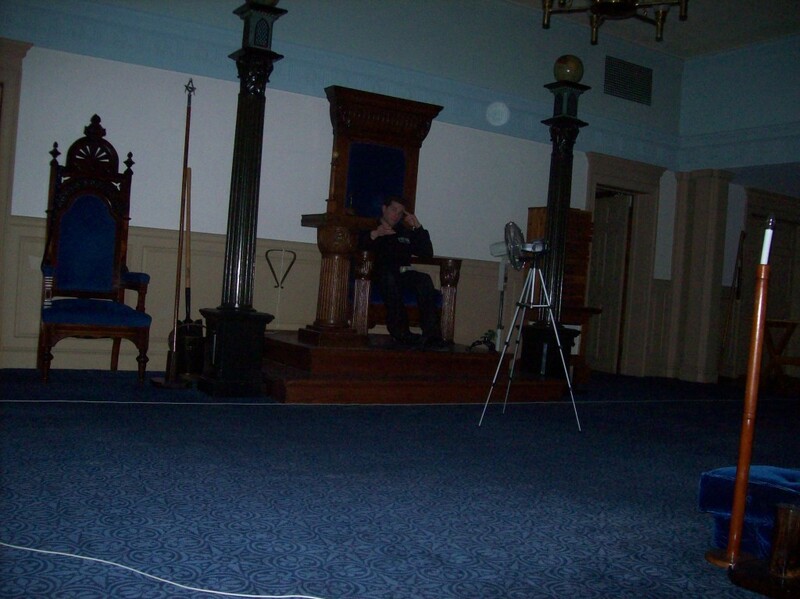 While taking pictures in the room during our investigation of the entire town hall, the following series of photographs were captured in a matter of about 10 seconds. All is clear in the first photo. 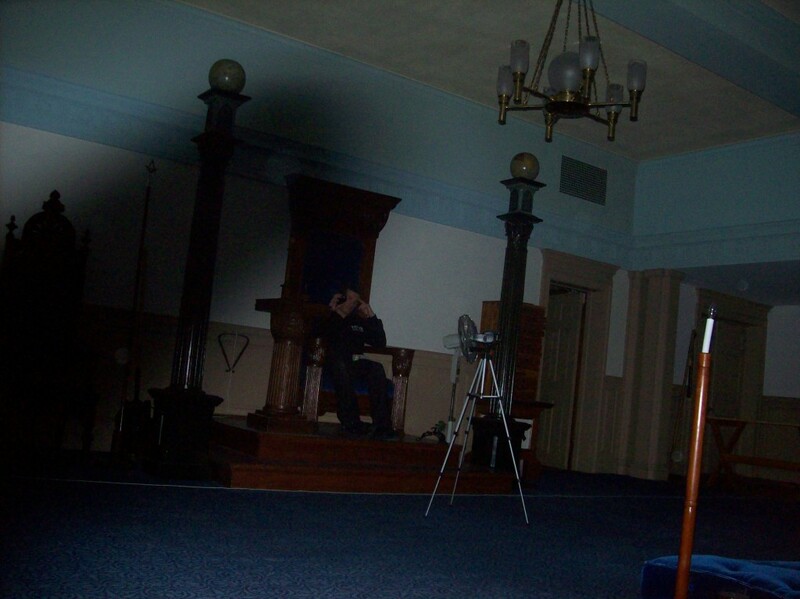 In the second photo, a shadow appears which seems to contain a couple of orbs within it. 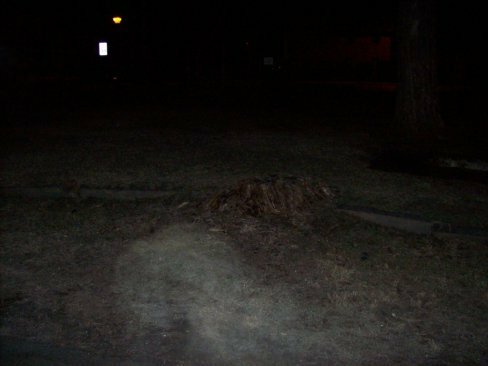 Though we attempted to recreate this shadow with fingers over both the camera’s lens and flash, we were unsuccessful in doing so. 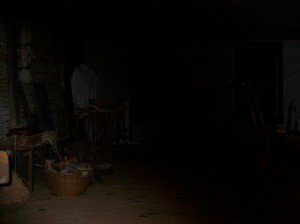 Also, we were able to confirm that the investigator snapping the photos had not moved his hand or fingers in over 15 consecutive photos taken. 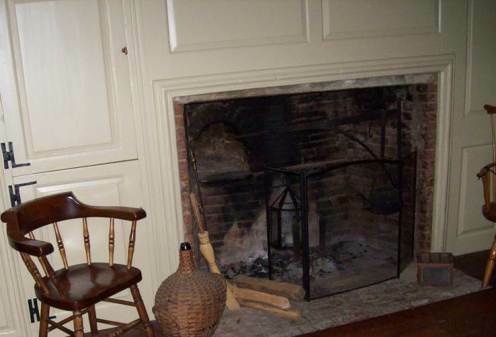 The shadow is gone in the third photo but an orb remains.